Supporting local communities and charitable organizations has always been a large part of the foundation of Transitions. Since we opened our doors in 2010, we have been annual contributors to national charities such as the Juvenile Diabetes Research Foundation (JDRF), and local non-profit organizations. Each new business project we undertake is done so with the belief that our presence and approach to business is making a difference in that community. We strive to go a step further and find a way to give back to the local communities we work in. Transitions organizes an annual food drive within each of the communities we operate paratransit services to benefit local family shelters. Every quarter we find ways to get involved and pay it forward. Our amazing team put together over 60 lunchboxes for food insecure children over the summer when the guaranteed meal of a school lunch is often absent. 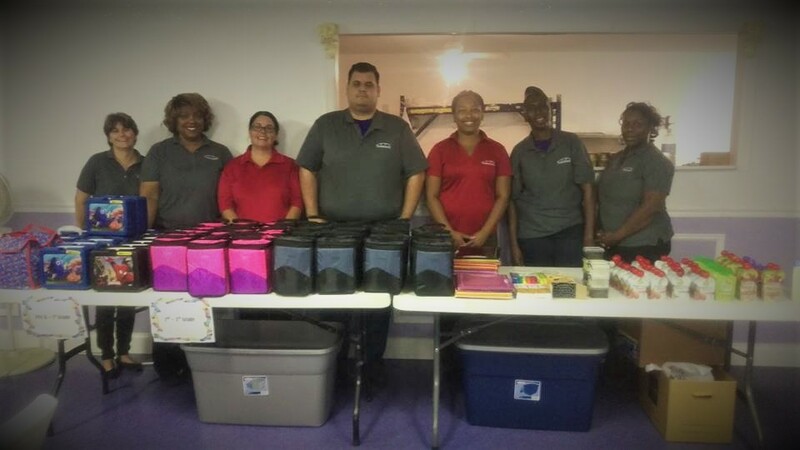 As of 2016 13.1 million children live in homes that are considered food insecure and our team seeing this local need put together lunchboxes and school supplies to support their community.